Let’s start with the most obvious reason: this is an exhibition game. Seriously folks, this is a game played in the middle of the season that does not count in the standings and is purely just a chance to watch all the best players in the American League take on all the best players in the National League. Before interleague play it was one of the few chances to see players from your favorite team play against players you never see because they are in the other league. 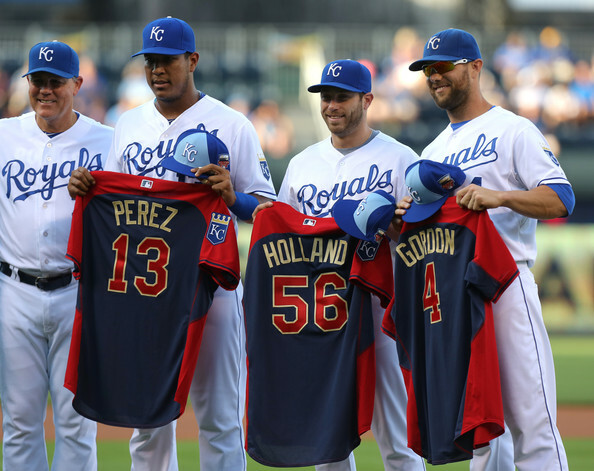 So if you were a Royals fan you never got to see guys like Tony Gwynn, or Dwight Gooden(in his early years) because they were National Leaguers. Nowadays though, it is no big deal to see guys from the other league, as there is a good chance you already played them during the season. Just look at last year’s World Series; the Royals and Giants played each other in August, so it was two teams who had faced off just a few months earlier. This game is purely for fun and players just aren’t going 100% for the most part, as they don’t want to get hurt in a pointless exhibition. But what about home field advantage going to the winner of the game? Before 2003, home field advantage in the World Series switched off every year. Odd years was the American League, even years were the National League’s. But after the 2002 All-Star Game ended in a tie, Major League Baseball decided to switch things up. 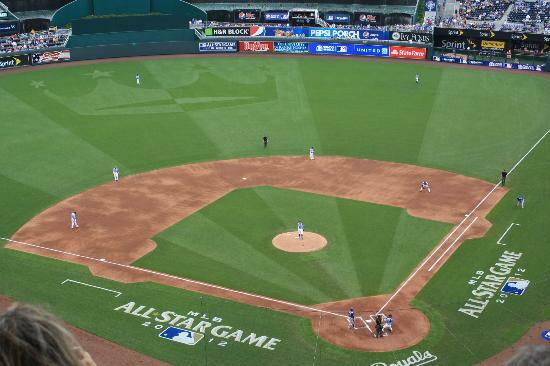 You see, before then, the All-Star game really didn’t matter; sure, it was great for your first couple times you appeared in it or if you were playing in your home park. But otherwise, it was a game that was getting in the way of a couple days off and it was played as such. Back then, most managers tried to get as many of the players into the game so they would get an All-Star appearance in. Now, MLB tries to play it as “the game matters”. Problem is, the players still would mostly prefer four days off. Sure, you won’t hear them publicly say they don’t want to play in the “game that matters”. Hell, they’ll even say in public that the game is important and might give their team home field advantage in the World Series. But go look back year by year; players continually sit out the game. Sure, there are starting pitchers that can’t play because they started the weekend before the game. Some have legitimate injuries and need the extra days of rest. But a lot of them just don’t care because they understand it’s an exhibition. Sure, the guys like to be there, cheer on their team or watch the Home Run Derby; it is still an honor and they appreciate it as such. But many players take it for what it is: a game for the fans that doesn’t count in the big picture. Home field advantage is great, but if you get that far into the season, you should be able to win anywhere, road or home. There is also the argument that you should want the most deserving players to start in this game, the players who have had the best seasons up to this point. I get this argument and for years I fell in line with that. You don’t have to look far to see a perfect example of a player getting voted in that shouldn’t have: Derek Jeter in 2014. I know someone just threw their keyboard across the room right now by me saying that(probably a Yankees fan) but the fact is Derek wasn’t the best shorstop statistically in 2014. In fact, if we are going by just their play on the field, Jeter wouldn’t have even belonged on the All-Star roster. But Jeter was in his final season in the big leagues and it was a way of honoring him. Fine, I get that and even accepted it last year. But don’t fool yourself; this proves once again it is more about the exhibition than the home field advantage. For years, Hall of Fame caliber players have appeared in the All-Star Game for one last hurrah. I am perfectly fine with this, as I understand the game is just for fun. But if you are going to be okay with a player like that being honored and appearing in the mid-summer classic, you have to also acknowledge that whomever starts the game really doesn’t matter either. The other part of this silliness is the fact that most players who start the All-Star game normally only last the first 3 innings. That’s right, all this uproar about the Royals players starting and most of them will only play the first few innings. Yep, sure worth all that anger that is consuming you, huh? Maybe this would be a bigger problem if the starters played all 9 innings but they very rarely do. So you prefer Jose Altuve to Infante at second base? Well, more than likely Altuve will be in late in the game when it might matter more and it will completely negate the argument of having him start. In games like this it almost matters more on who finishes the game rather than who starts it. As a Royals fan I think I shoud clarify something here. I agree with most of you in saying Infante doesn’t deserve to start in this game and is purely getting in because of the Royals rabid fanbase. Look at it this way, non-Royals fans. Before 2014, our team really didn’t matter much for close to 20 years. We have seen some absolutely putrid baseball in that span and for quite awhile we were the laughingstock of the sport. But now we matter and it has re-energized the fans. Sure, I wore my Royals appearal all the time in this span; I am a die-hard. I will be here till the end and I have no problems with that. But some fans needed a little poke. That poke was winning. 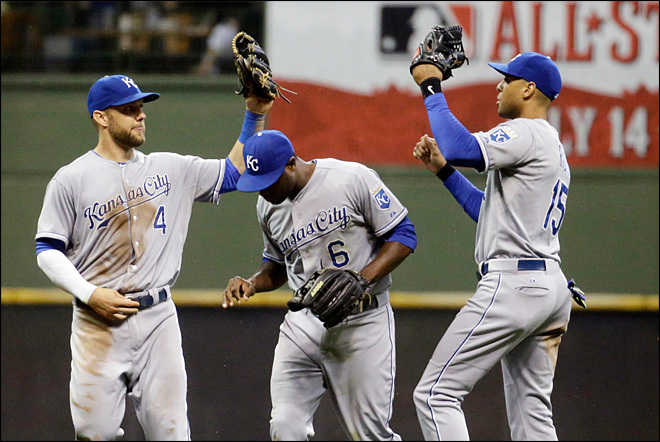 The Royals are a good baseball team now and have given the fans a reason to support them and be proud. 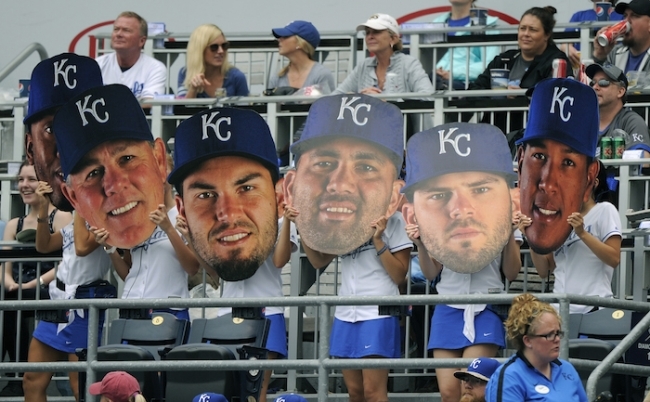 The voting has been so skewed toward the Royals because this is a hungry fanbase. We’ve been starving for years for good baseball and now that we are getting it, it is causing everyone to step up and vote. Hey, we are even doing it legitimately ! Trust me, even I thought there was some sneakiness going on, but outside of a few instances of writers getting suspicious e-mails , it appears voting is truly on the up and up. Winning causes fans to be more involved, and Royals fans had 30 years of no playoff baseball; just imagine how most of us feel, like this might not happen again for a very, very long time. So as fans, we are taking advantage of the team’s success. The one other thing to remember here is that outside of Infante, the other 7 possible starters are legitimate candidates for the All-Star Game this season. Sure, a few of them might not be having the best season at their position, but they are all putting up numbers worthy of an All-Star selection. Look at someone like Mike Moustakas, who has turned his career around this season and is having a career year. Sure, Josh Donaldson is raking this year and is probably having the better year, but Moose is still an All-Star in my mind. 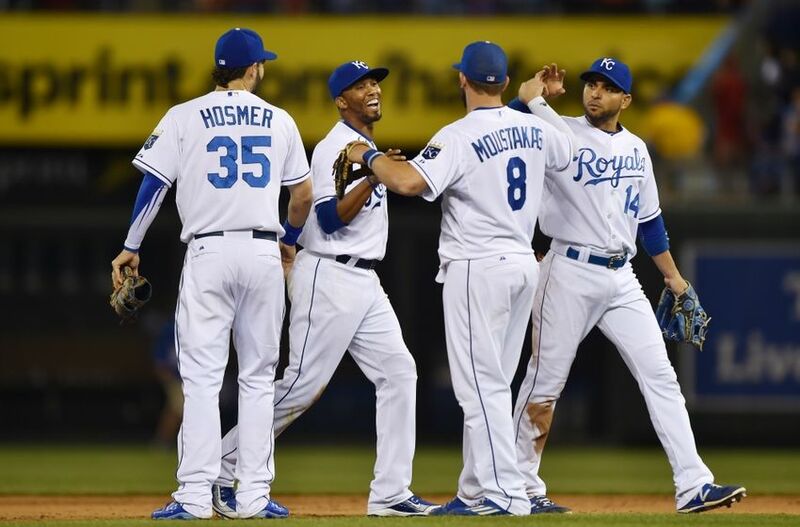 Go ahead, go down the list-Cain, Gordon, Escobar, Hosmer, Morales and Perez; all worthy of being at the game in July. This would be a different case if they were having bad seasons, but they aren’t. 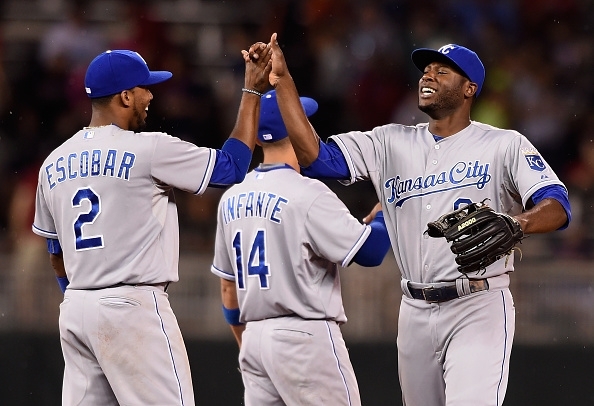 Starting or not, these guys all should probably be All-Stars-except for Infante. Even we don’t really want him on our team. But we want our guys at the All-Star game and unfortunately, he is a Royal. 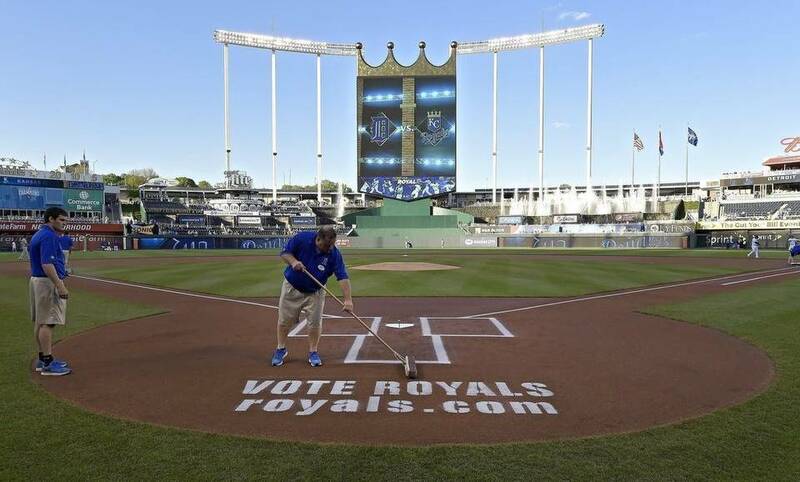 Remember #VoteRoyals(and #VoteNori) and vote often at http://www.royals.com and http://www.mlb.com . Let the good times roll. 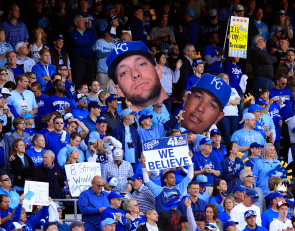 Until we do, Go Royals. BTW I remember when Davy Lopes was an All Star starter with a batting average hovering right at the Mendoza Line.